The revolutionary Dave Pelz GreenMaker™ Putting Green System is the finest complete packaged putting green system available on the market today. After a simple tool-free assembly, you are ready to enjoy your very own putting green in the privacy of your home or office. Starting with the Berrasof Core, a proprietary foam panel that offers strength, flexibility and realistic feel beneath the highest quality synthetic bent-grass manufactured today offering the industry’s truest roll. Add in regulation cups, fiberglass flag-sticks, aluminum bases and nylon flags – never cheap plastic – and you’ll discover a design and outcome that closely mimics the experience of playing on the finest country club quality natural greens. Sorry, Expedited shipping NOT available for Dave Pelz GreenMaker products. The Dave Pelz GreenMaker by SYNLawn Golf is designed to replicate the experience of playing on a pro-quality putting green no matter where you play. Sharpen your skills in the privacy of your own home, on the back porch or next to the pool, the Pelz GreenMaker™ by SYNLawn Golf is so portable you can assemble it almost anywhere indoors or out. Providing family fun and entertainment for Golfers of all ages and skill levels, the Dave Pelz GreenMaker by SYNLawn Golf is the perfect amenity for leisurely games or for the serious Golfer looking to elevate their short-game. Our proprietary foam panel base is covered by SYNLawn Golf’s versatile nylon putting green surface. Researched, developed and tested by Golf guru Dave Pelz and the Pelz Golf Institute, SYNLawn Golf’s putting greens are built to perform as close to natural putting green surfaces as possible with consistent ball roll, minimal off-line deviation and natural slow down. Now you can make your own indoor putting green or backyard putting green with SYNLawn Golf’s high-quality, easy-to-assemble putting green kits! Developed by short game guru Dave Pelz and the Pelz Golf Institute, the revolutionary Dave Pelz GreenMaker Putting Green System is the finest complete do-it-yourself putting green package available today. Even if you think you don’t know how to build a putting green, you’ll be amazed at how quickly and easily you’ll have your very own Golf-course-quality green up and running with the GreenMaker system. These DIY putting green kits assemble without tools, so you’ll be practicing in the privacy of your home, backyard or office in practically no time. Underlying your SYNLawn Golf GreenMaker putting green is a core of interlocking base components made from Berrasof, our proprietary foam panel. Berrasof technology provides both strength and flexibility to give you the realistic feel of a well-maintained country club green beneath your feet. The putting surfaces included with our GreenMaker do-it-yourself putting green kits are composed of the highest quality synthetic bent-grass manufactured today. SYNLawn Golf’s acclaimed, state-of-the-art synthetic grass provides simply the truest ball-roll and most realistic slow-down properties of any product on the market. And each kit includes accessories to match ” regulation cups, fiberglass flag-sticks, aluminum bases and nylon flags. The GreenMaker backyard putting green kits carries a 1-year warranty against manufacturer defects and an 8-year warranty for UV protection. SYNLawn Golf’s Pelz GreenMaker greens are completely portable and can be assembled anywhere you want a serious putting practice tool or just a fun activity for family and friends, indoors or out. GreenMaker systems come in four sizes, so there’s sure to be one to fit any area you want to convert to your own personal putting practice area. Clear floor space of any debris and place base pieces together and insert pins. Unroll turf over the base. Insert cups and flags, and begin enjoying your putting green. Why buy a Pelz GreenMaker? With 45% of the game occurring around the green on a golf course, sharpening your short game on a realistic practice green is the surest way to lower your score. The best, most realistic, highest quality putting green system available today. Featuring a strong, flexible Berrasof under-panel core system, a double tip-sheared nylon synthetic bent grass offering the industry’s the truest roll, “the best putting surface in the world” Dave Pelz – and regulation cups, fiberglass flag-sticks, nylon flags and aluminum bases the Pelz GreenMaker System features the highest quality components available today. A leader in the turf industry for over 20 years. SYNLawn backs the turf components of the Pelz GreenMaker System with a 1 year warranty. 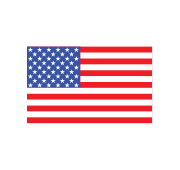 The GreenMaker System is Made in the USA.